Sunday 5th August saw Castle Hill Tennis Club hold its annual Veterans Competition in what is now the norm for this year… glorious sunshine. The tournament is played with extra points given to the more mature members and this year we had two in their mid-70's and both clawed their way to the semi-finals and one reached the final. Before enjoying a sumptuous BBQ and various sweets supplied by the members all the players played 30 games of doubles, switching partners every 5 games. 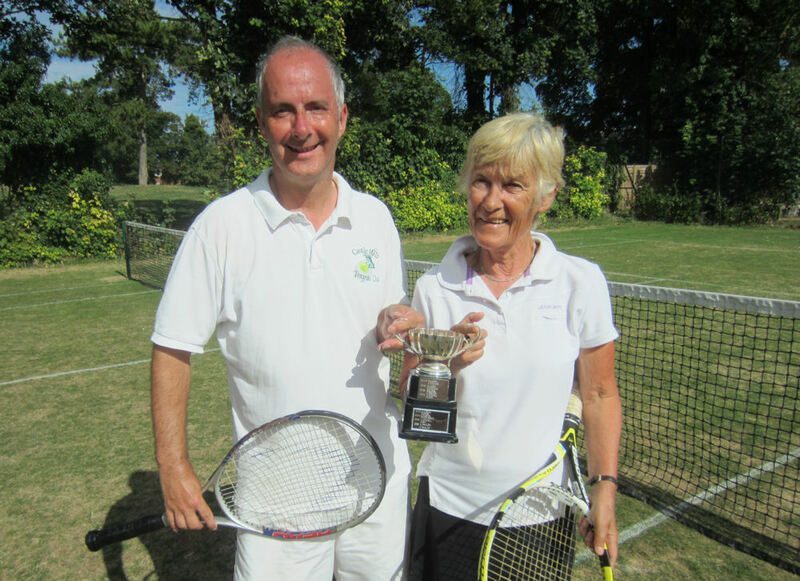 The eventual winners were Nigel Appleby and last year’s winner Deb Lench, beating Peter Smith and Mick Lench 6-3 in a one set final. On the way to the final they beat Peter Riding and Mark Starte and Anne Taylor and Valerie Mitchell respectively.